Did You Ever have a Favorite Toy? Amy was nearly as big as me and I adored her. She was my constant companion. 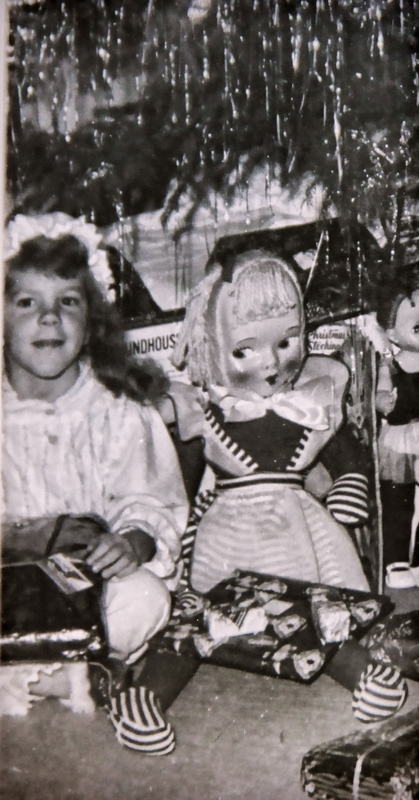 Until her face was cracked and my mother threw her out and replaced her with a Raggedy Ann. I cried. I wanted my cracked-face doll back. I treasured her. In The Ancient Fae, I talk about treasuring items that no one else can see the value of! Princess Ritasia misses the adventure of getting her brother and cousins out of trouble, but when the hawk fae king arrives to court her, she becomes involved in trouble nothing like she’s ever faced before. The hawk fae king, Tiernan, must find a bride, but being a tyrant king, or so his people believe, he must find a woman who would help him to change his people’s view of how he and his queen shall rule. Princess Ritasia isn’t anything like what he’d envision his queen would be like. Rough and tumble, unafraid of danger, and speaking her mind, the lady might just be the one for him. The princess believes the king is a tyrant, at least at times. But she discovers he’s not all that he seems, and she wants to learn even more. The problem is that Ritasia stumbles across an ancient queen’s magical artifact and nothing will ever be the same between her people, his, and what is dug up at the ancient fae dig site. Did you have a treasured item that you loved when you were growing up? Terry, who has reached the halfway point on A SEAL Wolf for Sale and it’s downhill (in a good way) from there!